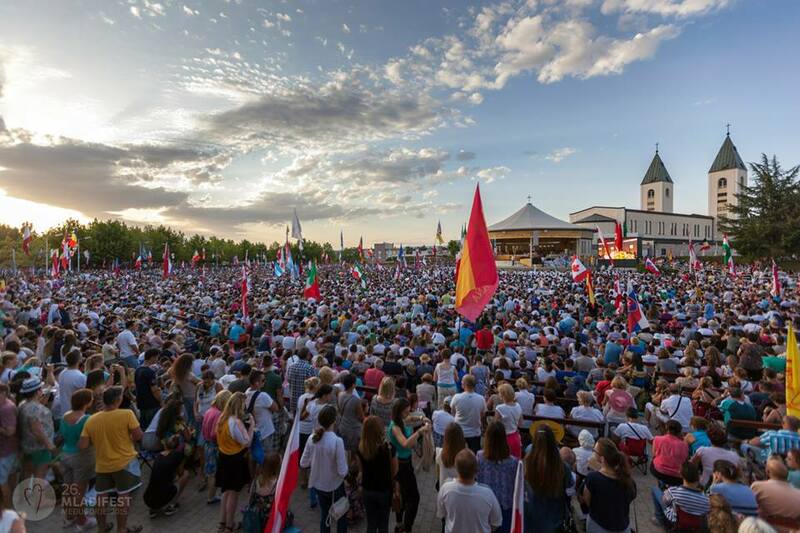 Youth prayer meeting in Medjugorje every year begins 31st od July and ends on 6th of August. More than 50.000 youths and 400 priests from the whole world. program consists of prayer, testimonies, music, procession with candles, adoration, concert, dance during the whole day… Spiritual life for young people that come from different parts from all around the world, who come here to fill their souls with strength. Many of them come back every year.